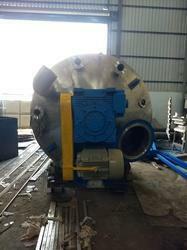 Prominent & Leading Manufacturer from Ahmedabad, we offer batch reactor. Keeping in mind the diverse requirements of the clients, we manufacture and supply an extensive range of Batch Reactors. These products ensures hassle free performance and available in the market at various specifications. In our manufacturing procedure, we utilize quality approved raw material and technically advanced technologies in order to adjust with the challenging business work environment.